Before telling you about VPN and Kodi, let’s explore Kodi. ‘Entertainment hub’ Kodi has been building quite the reputation for itself over the years. Starting as a media center application for Microsoft’s Xbox game computer under the name XBMC, it grew into a large online hub for storing and streaming movies, videos, music, podcasts, and other streaming media. Its popularity is not strange, considering the fact the software is free and open source. Meaning users can add their own code to the existing code to enhance features. The Kodi software itself is owned by a non-profit foundation. And is available for most platforms: Windows, Mac, Linux, Android, iOS, and Raspbian among them. ExpressVPN has it all. Excellent security, kill switch, a load of servers and a no log policy. A perfect VPN to use with a Kodi box. 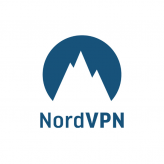 NordVPN not only offers all the functionalities you need, it also provides clear instructions on their website, on how to install their software. Kodi’s main asset is the usability of the platform. It communicates with Smart-TV’s to enable users to use their wide screen and remote controls to leaf through their online Kodi library. The software scans the videos or songs you own and automatically linked to relevant posters, descriptions, or trailer material, enhancing the experience. Official add-ons will have you access BBC iPlayer, Youtube, or ITV, but beware. Other add-ons (made by users who hold alternate views on ownership and copyrights) deal with media content that often lack any legal pedigree. These add-ons made by third parties have been a burden for Kodi. Too often the platform has been associated with malware, the distribution of illegally obtained media content, and more annoying stuff. Some of these so-called Kodi-boxes lacked proper tech support, or sold user information without prior consent, while users thought illegal add-ons operated under the Kodi banner, which they didn’t. Why use VPN with Kodi? Not all add-ons are as shady as the examples above. Still, Kodi users need to think about their anonymous browsing and use VPN when they go online. In this way, your personal details and IP address stay out of reach of people with malicious intent, plus you have all the benefits a VPN connection has. Kodi’s legal add-ons are geoblocked for instance. And VPN helps you to circumvent those, opening up geoblocked services like BBC iPlayer for you. Kodi also blocks some add-ons, like Netflix XMBC, but VPN sails you right past that. A third big plus counts for people in countries without guarantees about net neutrality. In those countries it is not uncommon to squeeze the internet speed of streaming services. But VPN prevents that, as government institutes won’t be able to see what it is you’re doing online. How do I use VPN and Kodi? In most cases, VPN providers make it easy to connect your VPN and Kodi. Some of them even have special add-ons to help you set up things. PureVPN is a good example. But when you use a PC a standard VPN setup will do the trick for you. Once your VPN is engaged, all your online traffic should be well protected. Including the traffic to and from Kodi services. Using a SmartTV or other devices require a couple of steps more: most good services offer proper instructions on how to quickly connect. To find the best VPN service to use Kodi requires answering a couple of questions. Not all VPN providers support Bittorrent, a protocol in use with many Kodi add-ons. So you will want to check your VPN service for that. Another thing is the circumvention of geoblocks: VPN providers vary in their approach to this service, so it pays to check their policies. To quickly establish which VPN providers offer which service, we listed the best VPN’s and reviewed their functions, to enable you to find a service that fits your (Kodi) needs.